My pregnancy cravings have been pretty stereotypically comical: beer-battered oysters deep fried in lard, onigiri wrapped up in extra nori, so much fish sauce in everything, cucumber salad with all the dill and vinegar, mac and cheese. There was even a pickle incident in the first trimester. And, of course, cheesecake. 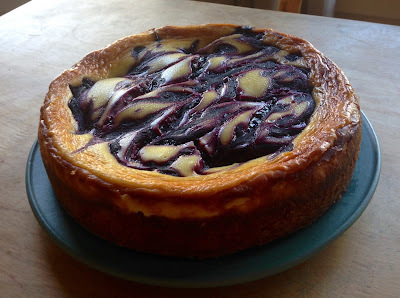 This one, a blueberry swirl cheesecake, is wonderfully custardy and makes an excellent second course at breakfast (after the eggs and oatmeal). If I can, I like to use cream cheese and sour cream that are made from just cream & cultures. Most cream cheese is made from skim milk powder and cream held together with some sort of gum or thickener. Same for sour cream. 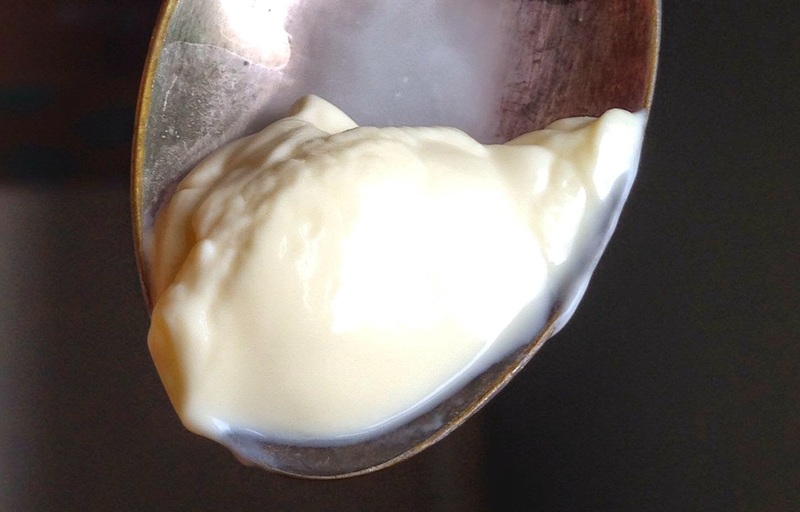 If it's just cream, it will not only taste more delicious, but also be quite low in lactose, which matters for some of us. 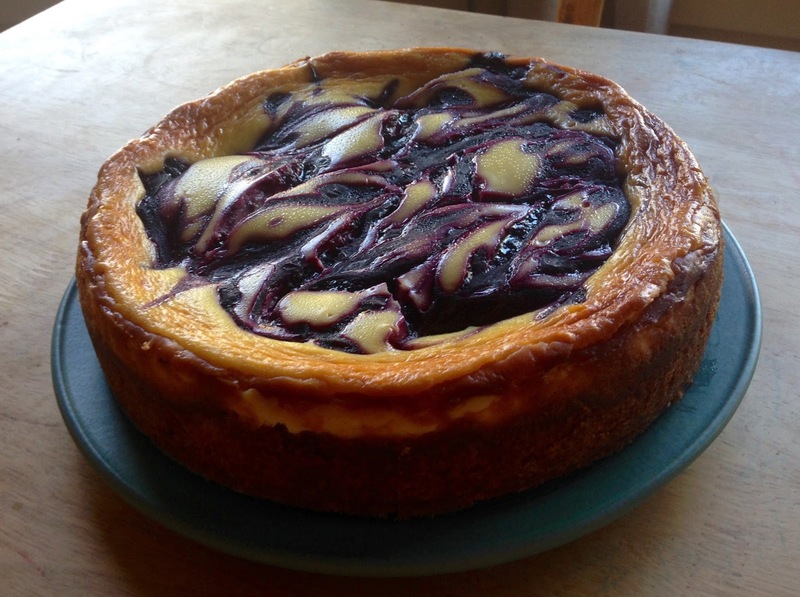 The gums and thickeners in cream cheese will also glue your cheesecake together, which isn't really a problem except that you lose the tender custardiness. The key to getting nice swirls is to have the blueberry sauce fairly similar in consistency to the cheesecake batter. The first version I tried just gave me blueberry glob cheesecake, which I devoured with gusto. 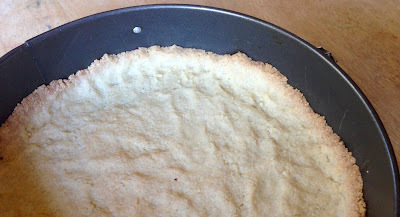 Prepare & bake one cheesecake crust in a 9" springform pan. Like this almond meal shortbread crust. Bring to a simmer and cook, stirring, for a minute, until blueberry sauce is thickened and cornstarch becomes transparent. Set aside to cool. Add to the cream cheese in a large mixing bowl and beat until well combined. Pour batter into prepared crust. 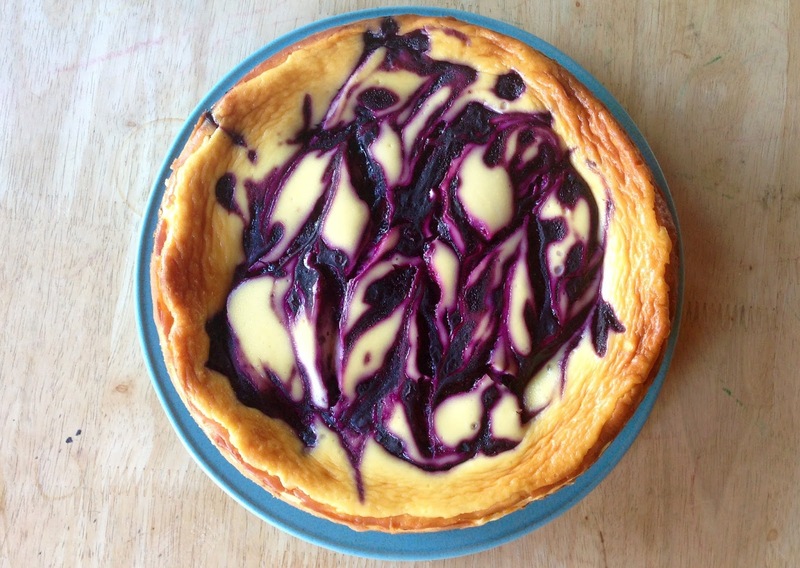 Drizzle with the blueberry sauce & make several strokes with a table knife to form swirls. Place the springform pan on a rimmed cookie sheet and bake at 350 for 60 - 70 minutes, until the sides are puffed and the center has risen somewhat but isn't set. Turn off the oven and prop the door ajar for ten minutes. Remove to a cooling rack and run a knife around the edge. After an hour or so, continue cooling in the refrigerator. Serve when completely chilled and set up--the next day is the best bet. 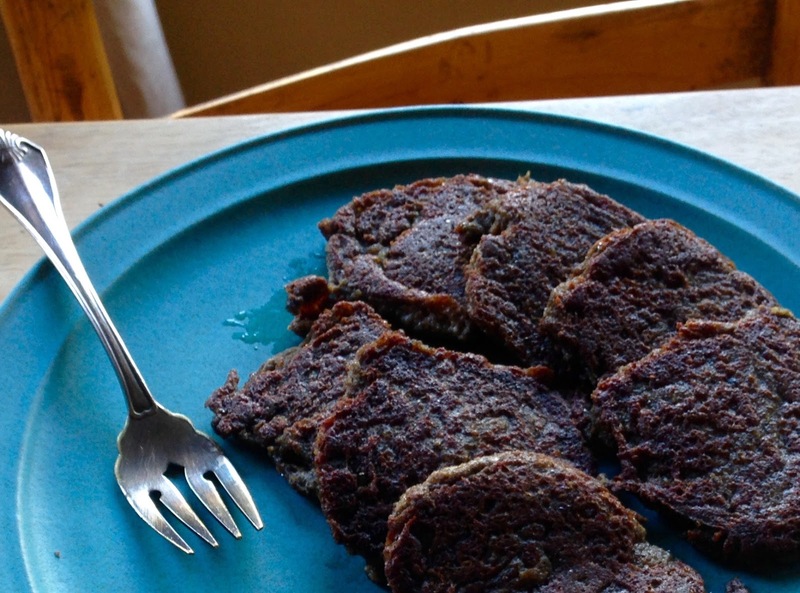 My Aunt Linda developed this wheat-free recipe for flatbread, because weird diets are genetic. If you use a gluten-free starter and gluten-free oat flour they will also be completely gluten free, if that's what you're after. 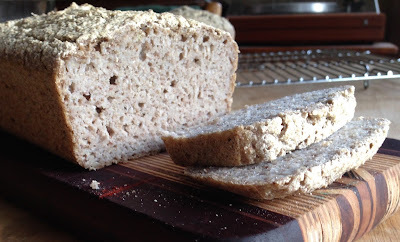 I adapted her original recipe for sourdough fermentation and found that using oat flour let me cut out the xanthan gum that most wheat-free breads require. Oats are plenty gummy all by themselves. In the absence of wheat, cooked millet provides the structure and chewiness of these flatbreads. The long sourdough fermentation gives them the sweet-savory addictive quality usually missing from "substitute" breads. I make them constantly. 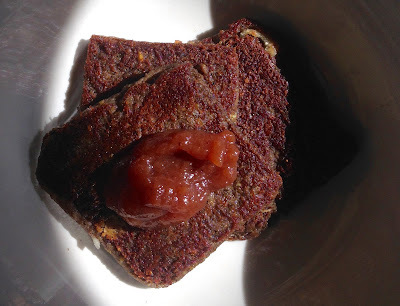 Actually, they're so sweet-savory, I wonder if some koji organisms floated out of my miso crock and found their way into my sourdough starter. 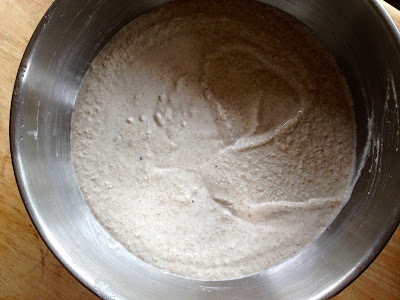 The starter has taken on a fabulous umami character and seems really good at breaking down carbohydrates, so that any dough it ferments quickly becomes sweeter and softer. Make sure your starter is quite active before you begin--feed it 8 hours or so before starting. 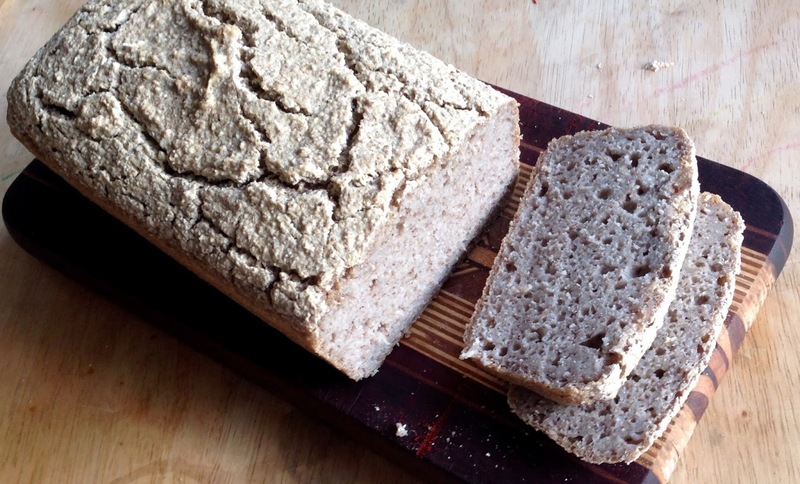 You can make your own wild sourdough starter (use teff or brown rice flour if you want it gluten free) or order one from Cultures for Health. The millet and potato flours can be switched out for other things, like teff or tapioca flour. 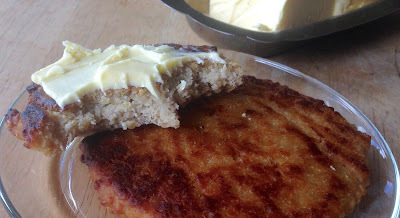 I wouldn't add much more oat flour, or the flatbreads will be hard and dry. Same for rice flour. 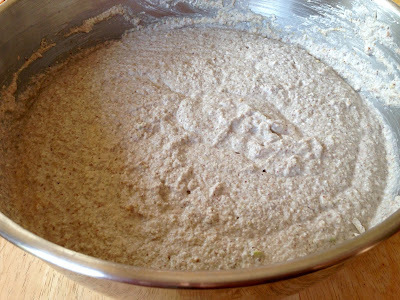 Knead briefly to mix everything evenly, then cover with a tea towel and place somewhere warm to ferment. Let the dough ferment for a few hours, depending on the temperature. My kitchen has been in the 90s lately, so a few hours are plenty, but each rising can take 8 hours or more when it's down in the low 60s in the winter. The dough will not really rise, either--that's a lot to ask of a bread without gluten. Instead, it will puff slightly, develop cracks in the surface, and become fragrant with sourdough as the starter reproduces. The dough will also soften considerably as it absorbs moisture from the cooked millet, and you'll need to stir it rather than knead it. Let it rise again for a similar amount of time. Pour over the dough and stir until well combined. With the honey and olive oil, the dough will be quite wet now. Line two large baking trays with parchment and pour 1/4 cup olive oil in a little bowl. Scoop large spoonfuls of batter onto the trays, about 9 per full-size sheet tray. Oil your hand well and pat the spoonfuls down into smooth 5" circles. Dip a little more oil onto your hand before patting each flatbread. They should be quite oily on top, so pat on a little extra if you have any oil leftover at the end. Let the flatbreads "rise" again until a bit puffier, another hour or two. 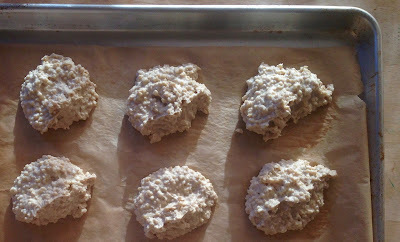 Bake at 400 degrees for 10 minutes, then switch the baking sheets and bake for another 10 minutes. They should be golden all over and a bit brown at the edges. Use convection if you have it, or run each tray under the broiler for a minute at the end to get some extra color on them. Let cool on a rack. After the first day or two they'll definitely need to be toasted to be delicious. They freeze well and can be toasted from the freezer. Seeded flatbread: Add 1/2 cup each chopped walnuts, sunflower seeds, pumpkin seeds, and 2 tablespoons sesame seeds to the dough with the honey and olive oil after the first two risings. Note: Over the course of a long fermentation, the enzymes in honey can have unpredictable effects on bread dough. Saving the oil for the end makes the honey easier to mix in. The honey is delicious, of course, encourages browning, gives the yeast a little boost for that final rise, and helps the flatbread retain moisture, but you could certainly omit it and add the oil and salt when first mixing up the dough. *Rinse & drain 1 part millet and add 2 parts water, bring to a boil, then turn down and simmer for 20 minutes until the liquid is absorbed. 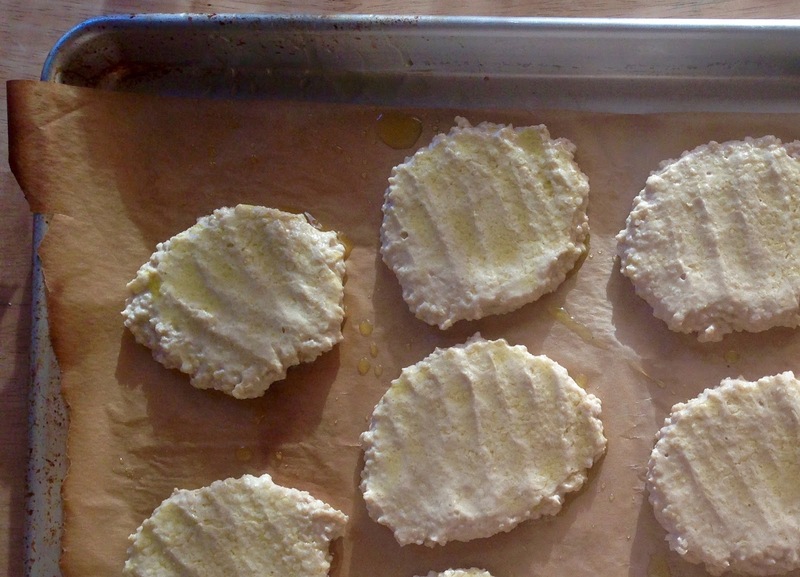 If you get this crust browned just enough, it takes on a macaroon-like quality. It's slightly sweet, salty, tender, nutty, and excellent under anything from pumpkin pie to cheesecake. The almond meal should be made from blanched almonds. You can make it from whole almond meal, but it will be a distinct creature: grittier and heavier. The rice flour and water are pretty important supporting players here. Without either, the crust would just be a collection of buttery crumbs. Be sure to use sweet rice flour, which is ground-up sticky rice. 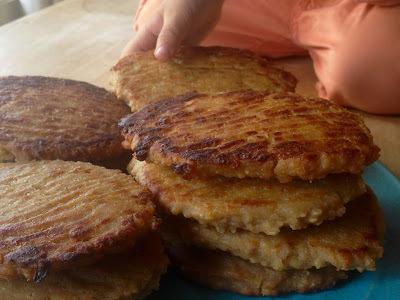 It's more tender and gluey than regular rice flour. In mainstream grocery stores, you're most likely to find the Bob's Red Mill brand, if you find it at all, but you can also get it online. It's known as mochiko in Japan (because it's what makes mochi so delicious), and chapssalgaru in Korea. Also called glutinous rice flour. Makes enough for a 9-10" pie crust. Stir well and dump into your pie pan or springform pan. Spread the crumbs out and press them firmly and evenly all over the bottoms and sides. Try to make the top edge fairly thick, as it will brown so much faster. 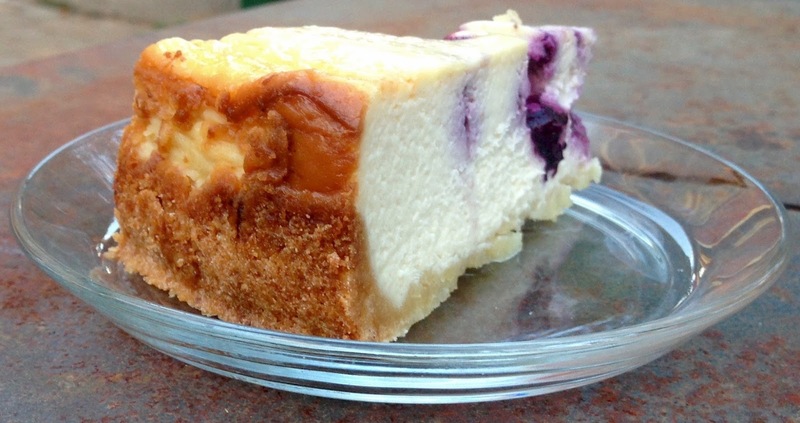 When I'm using this recipe for a cheesecake, I only push the crumbs 1/2 inch up the sides. If the pie will not be baked very long, or if the crust is for a cheesecake, I pre-bake the crust at 400 degrees for 20 minutes or so, until browned around the edges and a bit golden all over. There's a little notebook I've been filling with lists and recipes for the past three years. It's got pages like "Questions for the Midwives," "Virginia Packing List," and a 24-hour record of nursing sessions for a baby who now can now recite all the Frog & Toad books verbatim. It has an hourly schedule for a moving day last fall, which happens to include items like "pick up the pig" and "make a dozen pies" because we were supposed to move well in advance of the housewarming party, but remodeling projects don't work like that. And it has enough lists--grocery lists, camping lists, cleaning lists, reverse packing lists--to paint a full & nuanced portrait of my neuroticism. It even has a list of blog posts I should have written. In case it wasn't clear, I'm definitely a Toad who wishes she were Frog. But now the notebook is completely full, and I need to upload some of these recipes before moving on to the next book, and while I still remember them well enough to read them through the dense tangle of my son's drawings. Most of these notebook recipes are neither fancy nor particularly involved. They're just basic workhorse recipes, ones of my own, or ones I get tired of looking up in cookbooks and blogs. So here, we'll start with one I've been making for years, and which has rated high on my preggo-round-two craving list: hummus. Soon after college, I worked as a line cook at Vios, a fantastic Greek restaurant in Seattle. It was 2007, I finally started noticing all the skinny jeans, and it had only been a few years since my family bought its first ever bottle of olive oil. I'd only experienced hummus from the health-food hippie side of things. So I was totally blown away by Vios' perfect, careful, understated hummus. I should clarify that this is not Vios' hummus recipe--I wasn't involved in making the hummus there, apart from soaking the garbanzos for the morning crew. 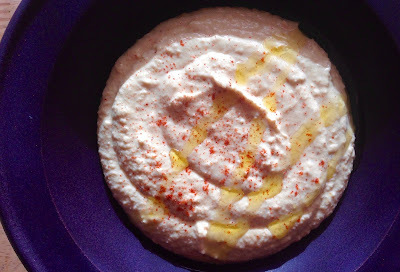 But I took my old pasty garlic-bomb hummus recipe and made it more Vios-like. For a while I was stuck trying to use as little water as possible--figuring it would only dilute precious flavors--but that was just silly. 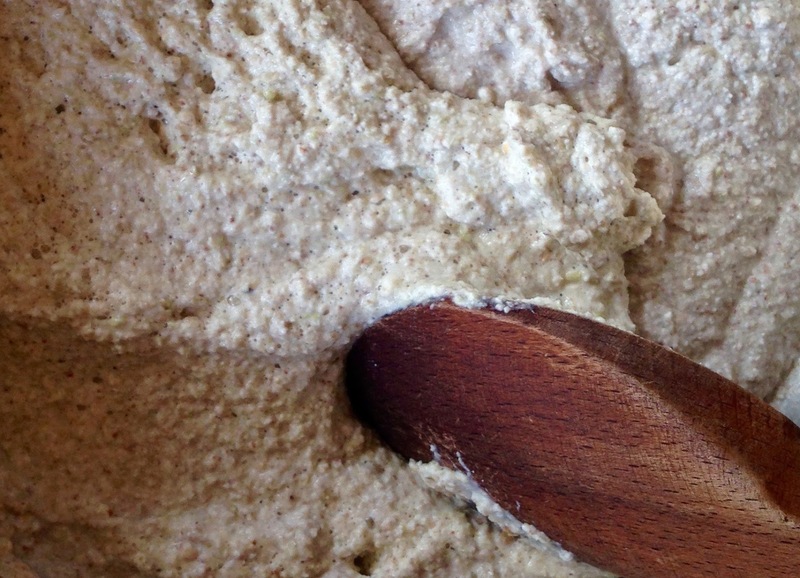 Hummus is an emulsion, so liquid lightens it--and you can only use so much lemon juice. Also this recipe is gentle with the garlic, not because I dislike garlic in the slightest, but because too much raw garlic overpowers itself. Makes 3 cups of hummus. Puree with an immersion or regular blender. Add more water as necessary to get a nice fluffy creamy consistency (the amount needed varies from batch to batch depending on how much water the chickpeas absorb). Chill for an hour or so to let the flavors meld. 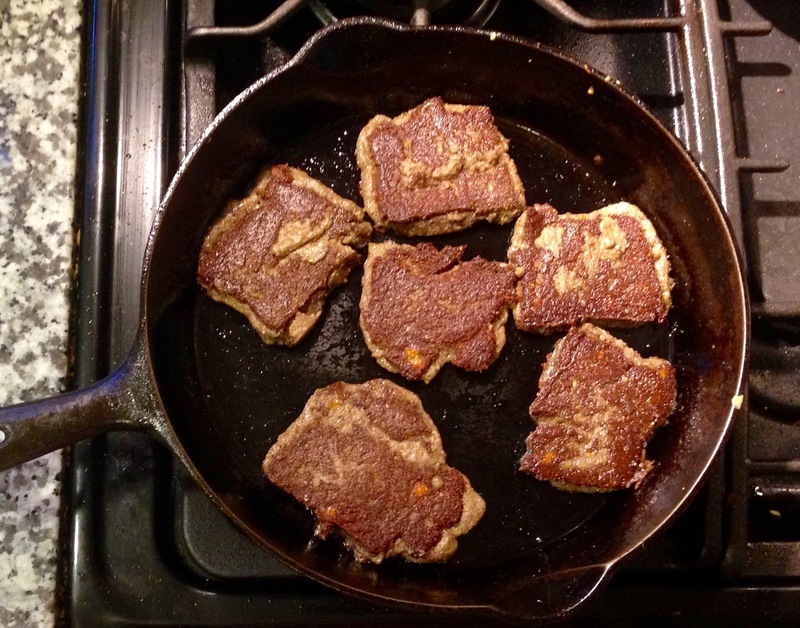 Try serving it sprinkled with ground sumac and a drizzle of olive oil. Hummus keeps for a week in the refrigerator.